The S605 EFT from Sailun is a premium steer tire ideal for use on coach buses, regional trucks, and line-haul trucks. 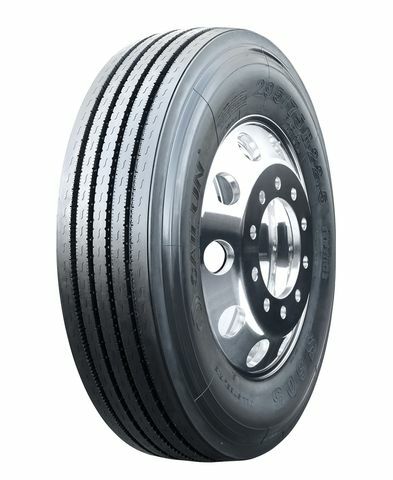 The tire features decoupling grooves and five wide ribs for enhanced stability and driver comfort. Built-in stone ejectors protect the tire from damage caused by stone drilling, while S-sipes and extra-wide grooves ensure excellent traction, heat dissipation and resistance against hydroplaning in wet weather conditions. Unique and innovate tread wall bite edges are optimized to reduce irregular wear and promote traction for a long, even wear life. 295/75R -22.5 N/A 6,173 lbs 110 psi 18/32nds 8" 11" N/A 40"
Purchase includes the Sailun S605 EFT tire only. The wheel rim shown in the picture is not included. Picture provided is a stock picture from the manufacturer and may or may not reflect the actual product being ordered. All Sailun S605 EFT tires are continuously developing with manufactured improvements. With that said, Simple Tire and the manufacturers have the right to change these tire specifications at any time without notice or obligation. Please Note: Specifications of the Sailun S605 EFT tires shown above are listed to be as accurate as possible based on the information provided to us by Sailun tires.